Google is always trying to surprise its users with some new innovations. This year a huge corporation has also prepared a few interesting things up its sleeves and revealed them at annual conference Google I/O. Innovations are also favorable for software development since they allow you to upgrade your existing software and make it much more attractive. But, let's not waste our time, proceed to read! Starting from smart functions, Google decided to pay more attention to artificial intelligence integration into various services. Let's check what's new in Google I/O 2018? 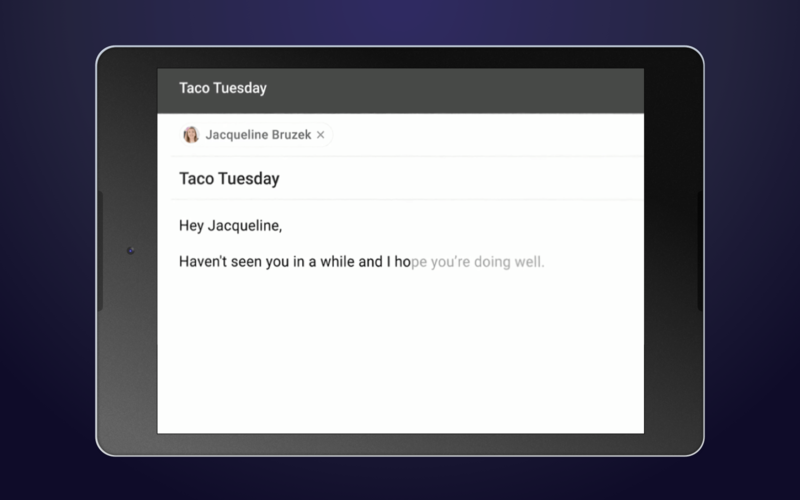 As Googlers noted at Google I/O 2018, soon Gmail will get new Smart Compose feature. Integrated artificial intelligence will be able to complete all your messages automatically. Thus, all your messages can be completed for you by a system. For example, you write a message, and new Gmail offers you a few variants of the next few sentences. AI can detect the sense of your letter to offer relevant phrases. If you like one of the phrases proposed, just click it and it will be input in your message. So you can see how to use Gmail Smart Compose feature. It is going to make message writing process faster and smarter since it may even build your messaging style and make it richer. Also, Gmail got a new design according to Material Design 2.0. By the way, building a chatbot can be good way for your gain a profit. Read this guide to see how to build a chatbot. As for Google Photos features, artificial intelligence will offer you to perform different actions. For example, when you browse photos with you and your friends, AI-based system will offer you share these images with friends in one of the social media. AI can automatically detect persons on a photo and identify them If they are added to your friend list, the system will recognize them. Also, new Google Photos will let you tap on the image and a special bar with editing features will appear below. It can let you brighten or blur images, rotate them and so on with just one click. In addition, according to Google I/O news, users will be able to turn document photo into PDF file. It is a very handy feature when you often work with documents. Voice assistant will please its users with more natural voice, first. Google Assistant AI is already available on more than 5000 of new devices, and it supports 30 languages in 80 countries. By the way, forget about constant repeating of favorite 'Ok, Google' phrase when you want to ask Google something. You just need to say it one time when you start speaking with voice assistant. Then you can ignore it. Also, Assistant will be able to reserve a table in the restaurant per your request or send money to your friend, and it will be a real magic. Just imagine - your voice assistant can speak with anybody on the phone. In addition, Google Assistant will get a new user interface for iOS and Android, and it will be integrated into Google Maps as well this summer. Do you know the right way how to integrate virtual assistant to your app? Our detailed article will reveal all secrets for you. And this product has also got the power of artificial intelligence. With the help of machine learning, users will be able to receive news according to their specific interests and habits. Thus, you will be able to manage all your interests more wisely. 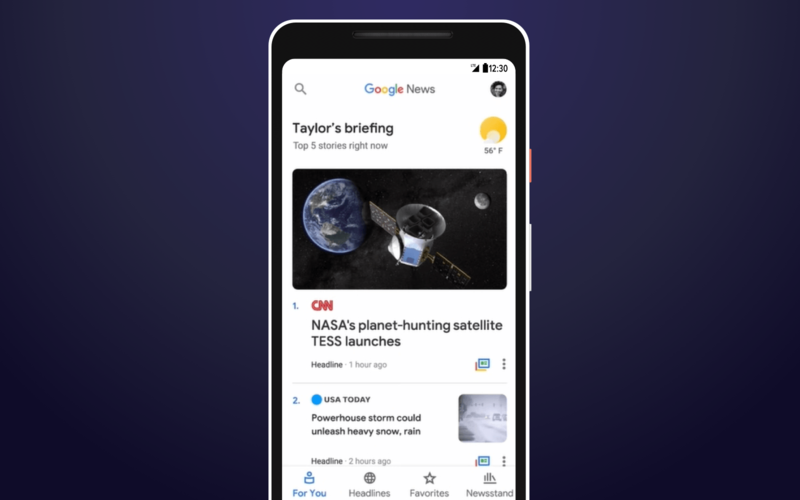 Also, Google News will get Newscasts feature, and it will be a totally new format. For example, you are browsing a list of news, and you can see the main topic of each news without even opening it. News will show up with pictures, the main topic of the article, and photo or video. So you can see what is the news about and make your decision whether you need to read it or not. And, finally, you can subscribe to premium sources to read all top news. For example, NYK times newspaper can provide users with a premium subscription where special hot newsletter will be available. You just need to add your payment details and then subscription will be performed with one click. Google Lens features was one of the most amazing services that Google introduced at the conference last year. And today it will get new updates. 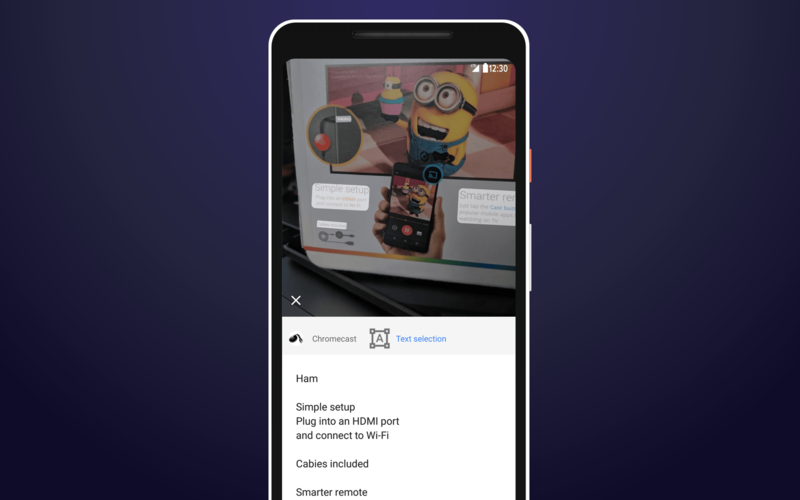 First, Smart text selection is an additional feature in Google Lens app that makes it possible to copy text from the real world. For example, you read a book, or you see a banner with some interesting slogan. Just point your phone on this text, and it will copy it in your phone. Is it handy? It is indeed. Also, in addition to text selection, Smart text search will also a good complement. When you copy text on your phone, you can search it on the web using Google Assistant, it will simplify the search process. And, Google Lens can recognize different objects with the help of AI, so it can become a good tool for your daily usage. So what about VR and AR, is there something new this year? Well, Google cannot boast about new VR add-ons, but as for AR, Google Maps will get a new interesting update. Artificial intelligence has not ignored Google Maps service as well. A new feature called Your Match will find a restaurant or any enterprises according to your interests and preferences. It collects all information about places you visited before and it can create your own list of places you will surely like, considering your ratings and reviews. Augmented reality will also change the way you are used to navigating through maps. 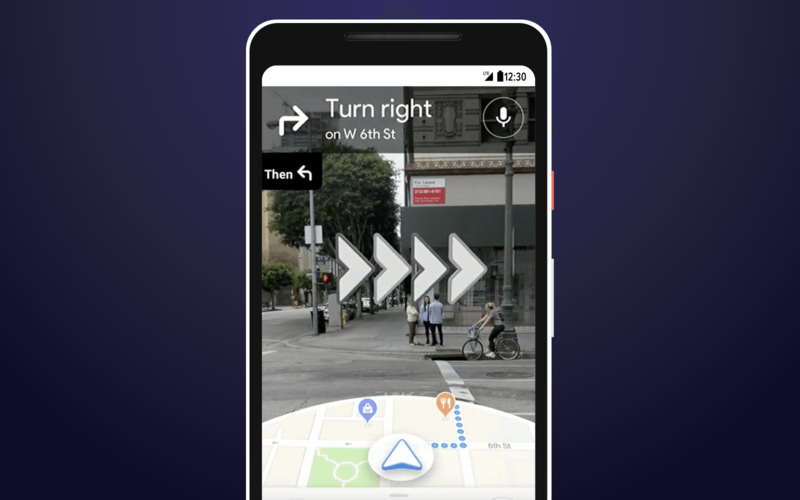 Using VPS (Visual Positioning System) technology that was announced last year by Google and Google Street View information, you will be able to create routes in the real world, where AR can show you all directions and arrows on the screen when you point it on any place. Digital signs and directions on real objects through the phone camera will change your navigation experience once and for all. Although Google didn't report when it has planned to add this feature, it shows a real advantage. Google Pay system has also got a few interesting bonuses that any user will be able to make use of. Now Google Pay app makes it possible to perform P2P payments, but it is available for UK and US only at the moment. 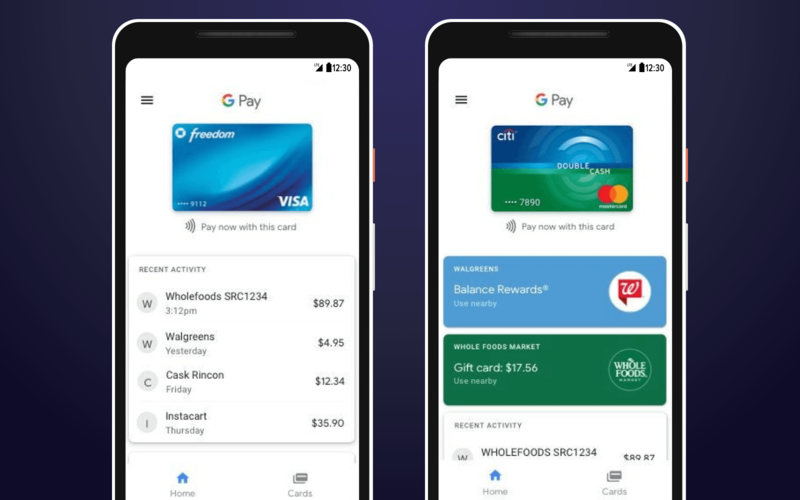 Also, Google Pay will allow users see all transactions history, manage all payment methods in Google account, send and request money, see all payment information. 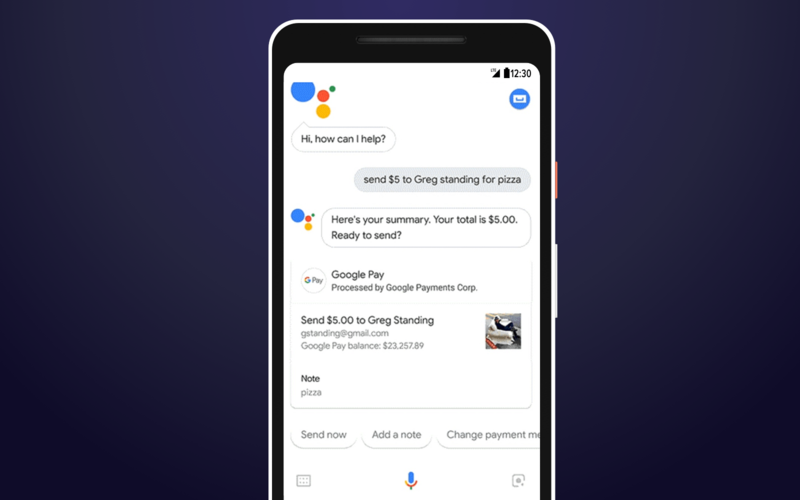 Google didn't forget about developers, so they released new APIs for quick and easy integration of Google Pay to any other apps. Specialists noted that now Google Pay support became much easier and it offers more capabilities. Apart from this, new APIs got tickets and mobile boarding pass support. Every year Google presents to the public new version of Android mobile operating system, and this year will not be the exception. 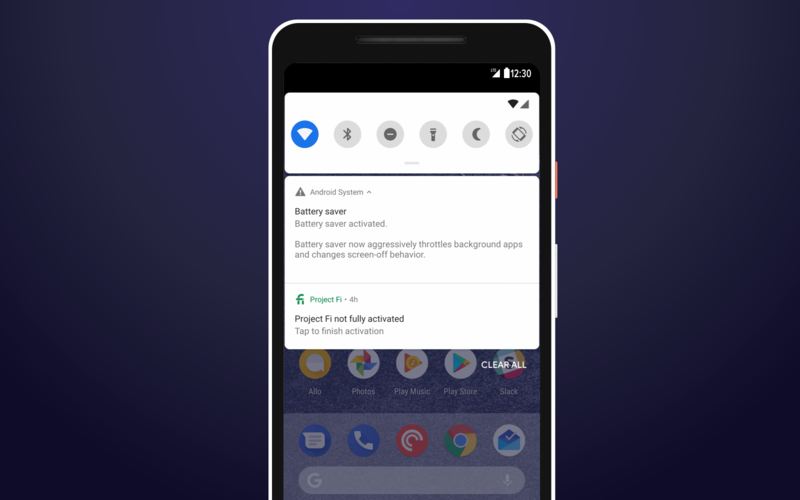 Googlers revealed a few new features that the next Android P version gets and they presented a first public beta version of Android P. Android Oreo was the predecessor of Android P, and the full name of its sweet (P) will be known only after final release in August-September. So what new features can we see at Google I/O in Android P? In Android P, only two buttons will be used for navigation instead of three, as it was before. 'Back' button will be available only in apps. When using a phone in general mode, only one button will be displayed that will be working with gestures. Moving this button in various directions will cause specific actions - simple clicking will work as a Home button, pulling it up will open split-screen mode or menu. App menu is called App Drawer now, and all apps are displayed in alphabetical order and they can be sorted out by its profile. New split-screen was called Overview, it has a search bar, and using machine learning it can predict what apps will be opened next. A new interface in notification shade gets round buttons of quick settings. They will move user directly to the main settings menu. Moreover, messengers will show part of chat conversations in Notification shade, and a user can keep on chatting without opening messenger itself. 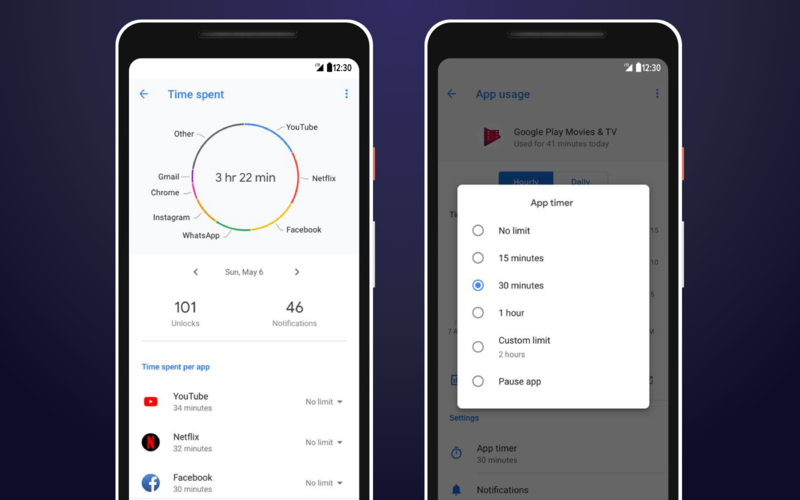 Control panel and "Digital wellbeing"
Android P can boast about control panel that collects all data about user's performance during the day, how long he has been using a smartphone and so on. Google thinks it will help people see how they use smartphones and they can change their habits. This feature is called Digital wellbeing. Also, new control panel gets Parental control feature, now parents can activate it to limit the time spent for playing or watching a video. But people can use this feature for themselves as well, it will help find more time for right tasks implementation, rather than for playing. When it is activated, a smartphone will stop displaying any notifications, you will not see anything. But if there are contacts that you want to get notifications from, you should mark them as important ones in the contact list. Android P will make it possible to control volume in media settings, and notification signal will be controlled only in settings. When users do it, a button is popping up on the screen that allows users to activate Silent mode with one click. Update of Material Design was one of the most expected announcements at Google I/O 2018. And Android P got its new Material design version, so we simply cannot ignore it. The first version of Material Design that was released in 2014 became not so clear and intuitive as developers and users expected, and that is why this year Google introduced a new conception of Material Design called Material Theming. This type of design aimed at developers more. Thus, programmers can choose more variants of designs with Material theming when they create apps. As Google specialists believe, new Material Design will give more freedom to developers, and it makes it possible to add more personality and originality to apps created. 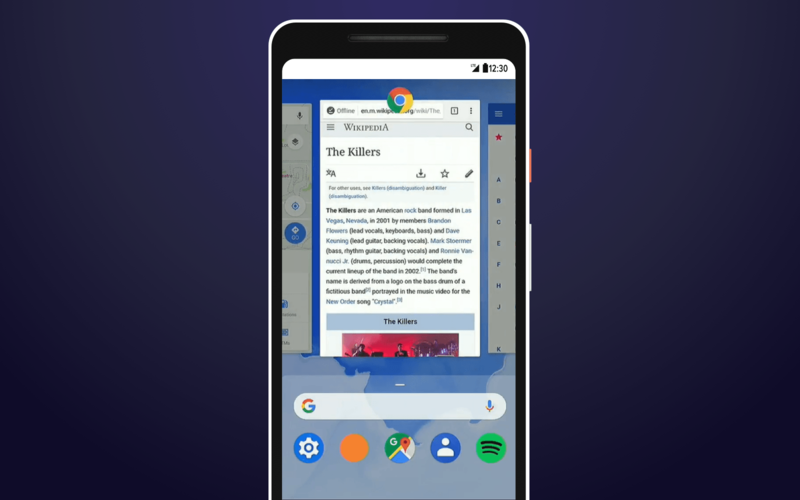 In new Android P Googlers plan to use Material Theming. In Material Design 2.0, Google plans to keep on using Google Sans font for its services. First, it was used in Google Assistant a couple years ago, and now it will use it for the majority of Google services. Web versions of Google services like Gmail have also got new changes. Now grey icons on white background. Also, new features were added like notifications about important letters you haven't read before. 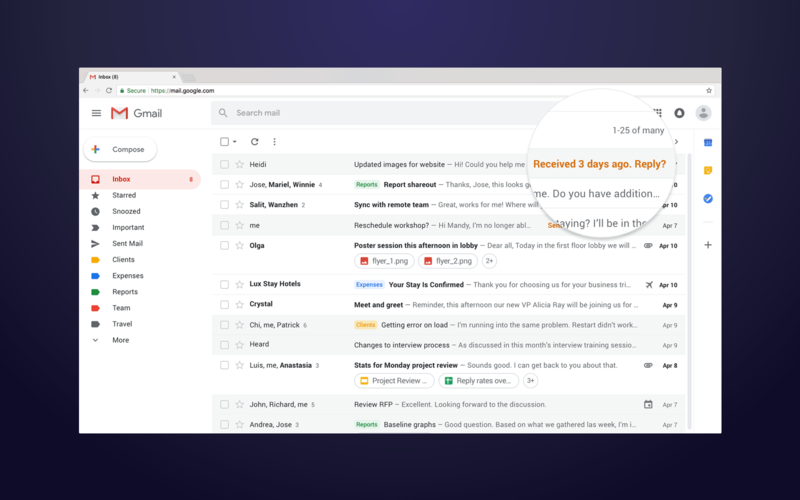 You can hold emails and then mailbox will remind users about it. Material Design 2.0 offers minimalism and more flexibility to developers. Google specialists said that they have learned from their mistakes and they fixed everything in new Material Design. Also, Google launched material.io website dedicated to all updates of Material Design. That is the full list of all interesting things Google showed us at its annual conference. Many of features listed can improve your Android software and make it more advanced. Our developers can help you integrate new features into your app or create something new and unique from scratch. Contact us right now and subscribe to our blog not to miss the hot news!